On 23 July 2018, Cepheid announced a new pricing agreement which lowers the prices of tests for multiple conditions on its virology menu for low- and middle-income countries (LMICs). 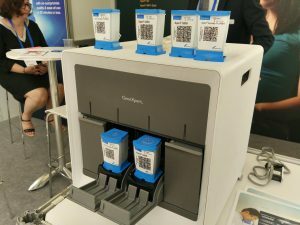 This major step in advancing integration in molecular diagnostics will see the price of Xpert® tests used for diagnosis of HIV, hepatitis C virus (HCV) and human papilloma virus (HPV) lowered to US $14.90, making the tests more accessible to lower-income countries, where the need is greatest. Decentralized models of care to diagnose these infections and confirm a cure within community healthcare settings are critical to achieve global goals such as the UNAIDS Fast Track targets, HCV elimination by 2030, and efforts towards the eradication of HPV infection through universal specific vaccination. ‘ASLM is excited that this new pricing agreement will benefit almost every country on the continent given the large footprint of the Cepheid gene Xpert® platforms that are used in many settings, thanks to investments by governments and donors such as US PEPFAR, the Global Fund and Unitaid,’ said ASLM Project Director, Nqobile Ndlovu. ‘With the addition of other tests to the initial tuberculosis testing on these platforms, we are continually increasing testing capacity and their utilization.’. Read Cepheid’s press release here.